As Senior Managing Director for the Assessment and Consulting Services (ACS) group, a division of CBRE's Valuation and Advisory Services (VAS), Ms. Bryson is responsible for the management and oversight of the day-to-day operations for CBRE's national due diligence platform, including Property Condition and Environmental Assessments, Zoning Analysis and Seismic Studies. In addition, Ms. Bryson is responsible for oversight of the ACS business development team throughout the U.S. Prior to her current role, Ms. Bryson held the position of Principal with the former IVI Companies, preceding their acquisition by CBRE in December of 2014, and was responsible for the growth of IVI's due diligence group through exceptional client service and management. 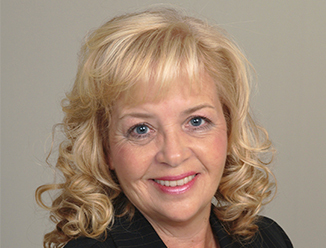 Ms. Bryson brings invaluable experience to CBRE through the various roles held during her 40 years in real estate consulting for the IVI Companies, including business development, marketing, operations and management. The best quality and service, along with exceptional client outcomes, are Ms. Bryson's main priorities. Ms. Bryson is involved with various fund raising for charitable organizations such as My Brother Vinny, a not-for-profit organization helping to house Veterans, The Leukemia & Lymphoma Society and Soldier's Angels.